Digital advertisers will watch your eye movements to figure out what products you're interested in. Have you ever eyed a pair of shoes on a website, only to find them haunting you at every next stop on the World Wide Web? Do you find it creepy? Then be prepared, because advertising online is about to become smarter. 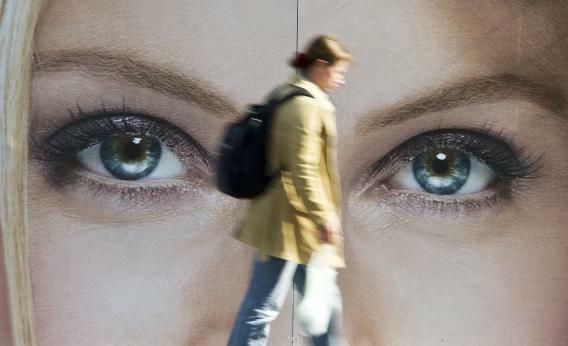 The Economist reports that advertising companies like Realeyes are developing systems that would use your webcam to track your eye movements. If you see something you like and give a facial clue—say, smiling at that dress or pair of pants—the system will note it, and the product will keep appearing as you visit other sites. If you frown, though, the system will recognize the negative reaction and won’t serve the product for you again.